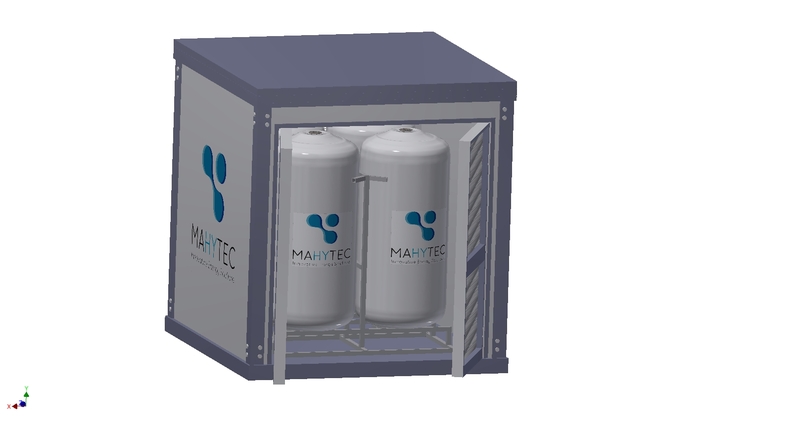 In order to produce, store and distribute energy, MAHYTEC designs a solution that secures access to energy and proposes to adapt it to every need. It generates and stores electricity when solar or wind power is available and it provides clean electricity when the other power sources are not available. 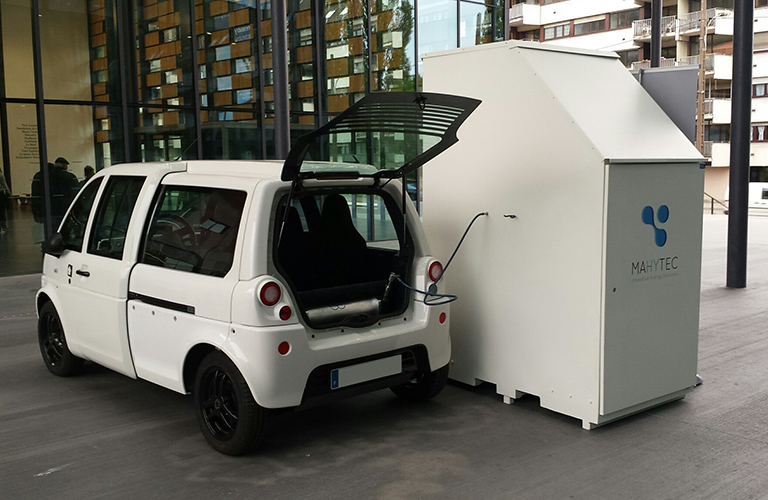 Due to its powerful battery unit and the large H2 tank it is able to supply electricity for several days. 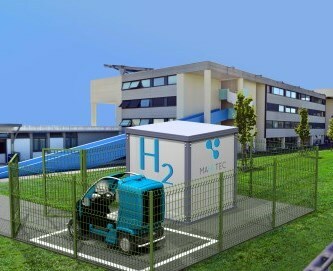 It can also provide hydrogen for a small H2 powered electric car. Coupled with batteries, hybrid solution with hydrogen is economically viable and offer higher performance. For sites where long periods are without solar or wind energy, we can propose more powerful models since it comes in different sizes to cover every customer needs. 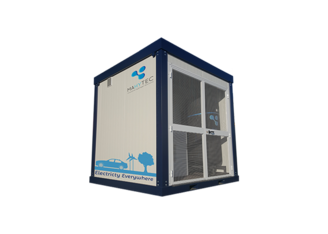 SECURITHY is the perfect solution for off-grid, isolated sites and passive houses to manage their energy consumption. With SECURITHY, you have the possibility to go green and stay out of the grid. Thanks to its know-how in the field of hydrogen storage, MAHYTEC offers its customers a range of products including the entire hydrogen chain, in order to secure the access to a clean and sustainable energy. SECURITHY perfectly fits into the energy transition and passive housing. An electricity storage for short time, for daily use in a normal cycle, through batteries. 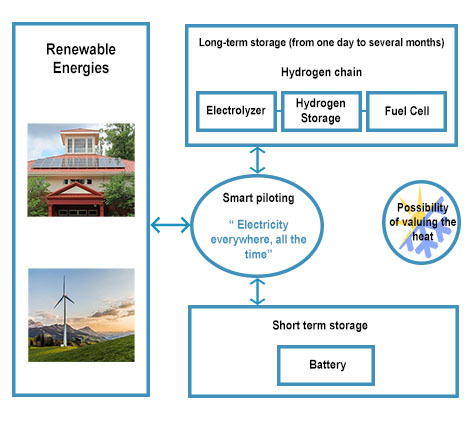 A long-term energy storage through a pack comprising an electrolyzer, a hydrogen tank and a fuel cell, to ensure access to an always available energy source. MAHYTEC provides a complete energy solution for academic purpose in high-schools. These bivalent stations include hydrogen production through an electrolyser, hydrogen storage in two different types of tanks and electrical conversion as well as monitoring of the system. It is also equipped with a small hydrogen vehicle. Five systems have been deployed in East of France.